Hacker, did you check out Hyperscale this morn? 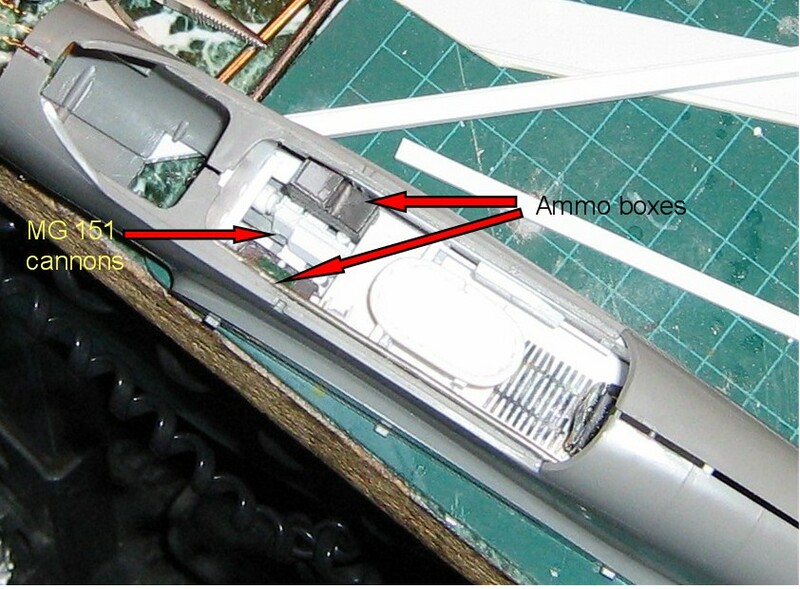 Brett has posted a free downloadable pdf file on building the 1/48th Bf110E by Eduard. Don't know if it will help, but the Eduard kit is supposed to be really nice and besides, its free!!! It's at: http://downloads.hyperscale.com/guides/bf110eguide.pdf . I only build jets myself, but you WW11 guys really have got your work cut out. Really interesting stuff here. Keep it up. Just a quick post on my progress. Here are the MG 151 20 mm cannons built and installed in the ME 110G-4 night fighter. 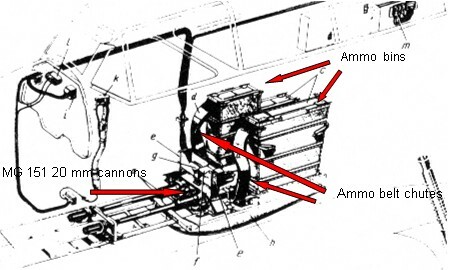 When production resumed on the 110s the MG-FF 20 mm drum feed cannons where replaced with MG 151 belt fed cannons. dave l have a 1/35 scale ruler and a 1/32 and there is very minimal differeneces between the two. The 1/35 MG 34s where almost the same size as the 1/32 MG 17s and l was only going to use what l used so it worked out prefectly for me. HI You must like research and detail work because this model is going to have it all from what I see. No 20mm though, these are 7.62mm ones. You can get them already blued, like the lower image, too!